Physical Strength - Using Carbon Nanotube-based Flexible Fibres, the P1 can lift some massive weight, or punch through a skull. Around 900 years have passed since the Seperatist Armies made their debut on the fields of Naboo. Rows upon Rows of unintelligent, weak stick figures with guns battled and ultimately lost to.. Gungans. The Emergence's P1 is a testament to the Empire's Technology-Centric Ideology. Advancements in almost every aspect of Droid Warfare have been packed together into one Standard Infantry. 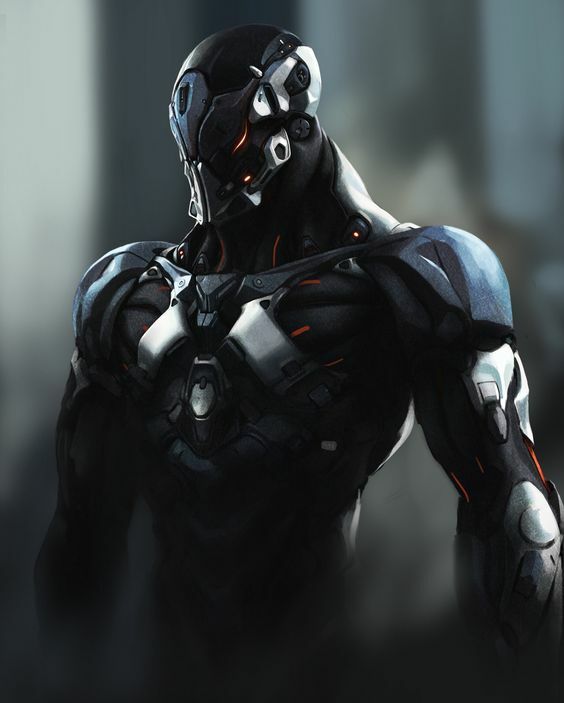 Featuring a Brain that contains one of the most advanced warfare A.I, that learns in real-time at a pace more than triple that of the average lifeform, powered by Room Temperature Superconducting Electronics with muscle fibres that give it unrivalled battlefield strength. The P1 also has the ability to communicate over wireless networks with other units. Giving it the ability to silently coordinate without giving away any information to listening opposition. Edited by Orex Mauda, 18 April 2019 - 06:07 PM. This is a pretty cool droid, I just have a few things I want to bring to your attention. The link here is broken and takes me to the pinterest front page, please can you fix it to show the correct link? The factory rules require the manufacturer be linked so, could you please add the link to that here. The factory also requires that any materials used in a sub be linked to their canon wookie page or the chaos sub. Other than that, the submission is actually a nice solid battle droid, and I do love the weakness "faulty brain". Apparently I've run a blank as to where I got Duraflex from. I think I just made it up as a flexible Durasteel alloy a while back. Can't remember. Either way, I'll just have to sub these materials, which I'll get round to very soon Thanks! Also, the Pinterest link worked for me, but it's been updated anyway. The link still isn't working us, but one of the RPJs found this link to the original art source. Since the materials haven't been subbed yet, would you like me to move this submission back to the prefactory until you have them up?